Friends Talking Faith with The Three Wise Guys Hear the varied perspectives of the Rev. Bryan Fulwider, Rabbi Steve Engel and Imam Muhammad Musri as each week they discuss how faith impacts both the simple and the complex aspects of life. These three clergy come together as friends to discuss topics from the perspective of the different religions they represent. They contend that “good religion works for peace, respects and values others regardless of their religious perspective, and works through acts of compassion to make the world a better place for everyone.” Friends Talking Faith with The Three Wise Guys airs on Tuesdays at 6:30 pm on 90.7 WMFE FM in Orlando. Tune in on your radio or listen online. You can also listen to any show already aired. Quakers Inviting Public to ‘Truthful Tuesday Teach-In’ Quakers of Orlando are inviting the entire community to gather with them for their “Truthful Tuesday Teach-In” at 7:30 pm each Tuesday—June 5, 12 and 19—at the Quaker Meeting House (316 East Marks Street, Orlando, FL 32803). The Tuesday programs are part of the Poor People’s Campaign: A National Call for Moral Revival. Nightly themes are: June 5, The Right to Health and a Healthy Planet: Ecological Devastation and Health Care; June 12, Everybody’s Got the Right to Live: Education, Living Wage Jobs, Income, Housing; June 19, A New and Unsettling Force: Confronting the Distorted Moral Narrative. The programs feature a live-streamed event from Washington, D.C., followed by a brief discussion about the role of faith communities in fighting poverty. The event is free and everyone is welcome. The Quaker Meeting House is accessible for those with disabilities. The Roth Family Jewish Community Center (851 North Maitland Avenue, Maitland, FL 32751) is inviting JCC members and people from the community to take advantage of its “Hot Talks” summer evening lecture series. The three lectures, all presented by members of the local Orlando community, will broadly encompass the idea of being a “hero”—from exploring the history of Jewish identity in superhero comics, to understanding the physics behind superpowers, to implementing strategies to make our own community better in real life, just like a superhero would! Featured in the series are: June 6, Christopher Cuevas of QLatinX presenting a lecture titled “LGBTQ+ 101: Understanding Gender and Sexual Diversity”; June 20, Julian Chambliss from Rollins College presenting a lecture titled “The Jewish Narrative in Superhero Comics”; and July 11, Gal Sarid from UCF’s Florida Space Institute presenting a lecture titled “The Physics of Superheroes.” Admission is free for JCC members and $5.00 for the general public. To learn more and to register, click here. Each program will run from 6:30 to 8:30 pm. In the spirit of building bridges of dialogue and understanding about Islam, a number of Muslim entities are inviting those of other faiths and no faith to join them for a community Iftar—the ritually significant fast-breaking dinners held each evening during the month of Ramadan. (Click here for detailed information about Ramadan, Muslim fasting and Iftar dinners.) This year several Muslims groups are making more than one of their Iftars a “Guest Iftar.” Many of the Guest Iftars have already been held. But those still interested in participating should peruse the following to find the times and locations that are most convenient. 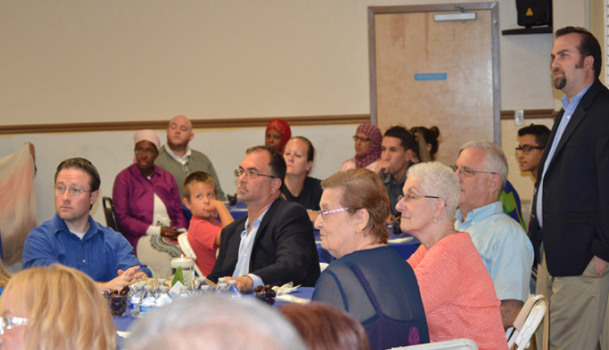 The Islamic Center of Orlando invites the non-Muslim community to join them for an Interfaith Iftar on the following dates—Wednesday, June 6; and Monday, June 11—at the Muslim Academy of Greater Orlando (11551 Ruby Lake Road, Orlando, FL 32836). Plan to arrive at 7:30 pm. There will be a short presentation on Islam and Ramadan prior to the dinner and a Q&A session. Seating is limited, so RSVP by email or phone 407-285-7790. Please provide your name, the number in your party and your religious affiliation. The Islamic Center of South Lake County (18296 US 27, Clermont, FL 34715) invites the public to participate in an Iftar (the breaking of the day’s fast) on June 13 at 8:30 pm. For more information, phone 407-953-0101. The Atlantic Institute (940 South Winter Park Drive, Casselberry, FL 32707) invites non-Muslims to join them for an Iftar on Friday, June 8, from from 7:00 to 9:00 pm. The program will include background information about Ramadan and fasting as well as the meal. Click here for more information. RSVP by email or phone (321-203-2191). The Atlantic Institute is also also hosting Iftar (fast-breaking) dinners in the homes of local host families around the Central Florida area. The Family Iftar Dinner Program aims to provide space for people of differing religious and cultural traditions to get to know one another in the intimacy of the hosting home and seeks to build community through casual conversations over a delicious meal with the motto “Open Doors, Open Minds and Open Hearts.” Click here for more information and to select a date for a Muslim home Iftar. 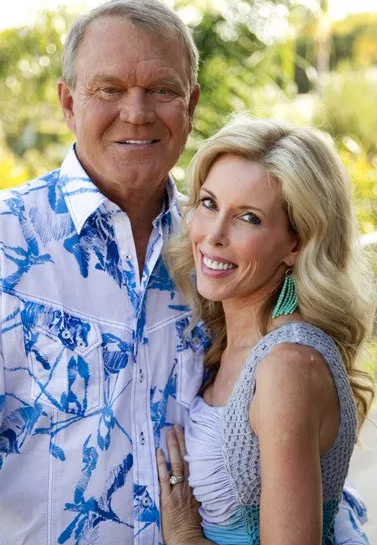 Kim Campbell, wife of the late musician Glen Campbell, will share her intimate story of caring for her husband who suffered from Alzheimer’s Disease. Attendees will gain an understanding of the complex challenges that people living with dementia—and their families—can experience. The event is Monday, June 11, at First Baptist Orlando (3000 South John Young Parkway, Orlando). Doors open at 1:30 pm, and the event runs from 2:00 to 3:30 pm. See flyer or click here to register. In August of 2016, Kim launched CareLiving, a blog, lifestyle guide and social movement designed to inspire, encourage and empower caregivers to care for themselves while caring for others. The CareLiving website features articles from Kim and a host of guest writers, specialists, musicians, doctors and caregivers. In our May Interfaith Discussion, we talked about war, the military and the armaments industry. 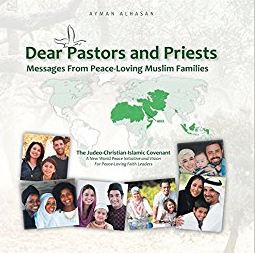 In our discussion on June 13, we’ll address “Peace, and How Your Faith Promotes It.” Does your faith tradition/worldview have official statements advocating peace? Does your faith tradition/worldview have specific programs and activities designed to promote peace? If yes, are these programs and activities conducted publicly or merely for the benefit of those who are already adherents? Is your faith tradition/worldview pacifist? Or is peace an ideal than can be set aside when it seems impractical? These are just some of the questions that will be addressed when the Interfaith Discussion group, sponsored by the Interfaith Council of Central Florida, meets on Wednesday, June 13. Interfaith Discussions are held from 7:00 to 8:30 pm on the second Wednesday of each month at Adventist University of Health Sciences (671 Winyah Drive, Orlando, FL 32803) on Florida Hospital’s main campus. The exchanges are respectful, open and candid, and the participants represent a variety of faith traditions as well as those who question the validity of faith altogether. For directions to the meeting, click here. Admission is free. Everyone is invited. The Orlando Stoics—a weekly discussion group that reads the Ancient Stoic texts (“Letters from a Stoic” by Seneca, “Meditations” by Marcus Aurelius, and “The Enchiridion” by Epictetus)—seeks to help its members in building self-reliance, avoiding anger and stress, practicing humility, developing community and, ultimately, living virtuously. The group currently meets twice weekly at Panera Cafes. Group leader Dan Lampert prepares the discussion points so people don’t have to have to read anything in advance. The meetings are free. The group, which is some four years old, has more than 400 members. Click here for more information and/or to RSVP for a meeting. Or to get on the email list you can text your name and “Orlando Stoics” to 407-327-7000. 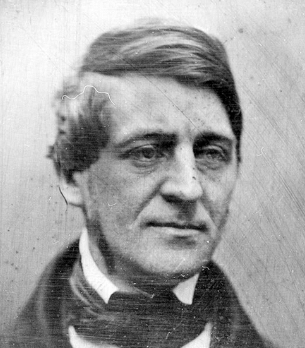 A discussion group that focuses on the writings of Henry David Thoreau and Ralph Waldo Emerson (photo) meets monthly to discuss topics that include life’s purpose, self-reliance, transcendentalism and individualism. Each meeting covers one of these two writers’ essays—such as “Self-Reliance” by Emerson and “Civil Disobedience” by Thoreau. The group also discusses who/what influenced these famous thinkers/writers (e.g. Stoicism) and whom they in turn influenced (e.g. Gandhi). The discussions are free. Click here for more information and/or to RSVP for a meeting. Or to get on the email list, you can text your name and “E&T” to 407-327-7000. On Saturday, June 16, from 10:00 am to 4:00 pm on the northeast lawn of Lake Eola Park, Orlando’s Solutionary Peace Walk & Festival will feature a day of celebrating peace, health and compassion. Learn about organizations that support an array of causes, some of which may coincide with your interests and concerns, others not so much perhaps. But it’s a a great chance to learn about possible solutions for many of the challenges we face, whether locally or worldwide. Meet eco-friendly and compassionate vendors, learn from knowledgeable and renowned speakers, listen to live music all day, engage in peace trivia, and join other peaceful people in a walk around Lake Eola Park. For more information, visit the website of the Solutionary Peace Walk & Festival. This year, 2018, is a year of commemoration and celebration for the Catholic Diocese of Orlando as it marks its 50th year. Originally part of the Diocese of St. Augustine, nine counties in Central Florida became a diocese of their own in 1968. 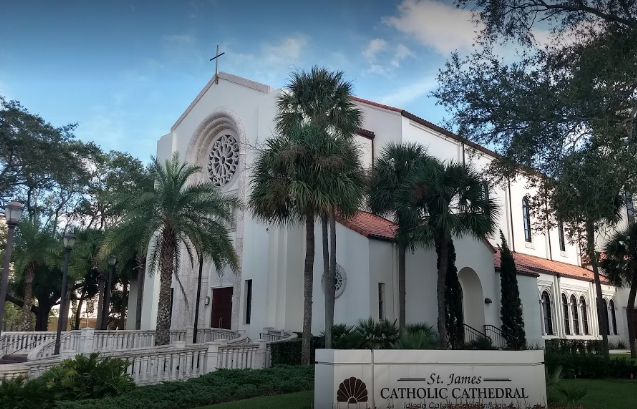 As part of the celebration of this historic event, Bishop John Noonan is inviting the entire community to an Interfaith Prayer Service at the Chapel at St. James Cathedral (215 North Orange Avenue, Orlando, FL) at 6:30 pm on Monday June 18. Those of all faiths and no faith are invited to join in this service of reflection and community solidarity. “Crafting Mercy and Healing in a Hard‑Hearted Time” is the title of the lecture Rev. Dr. Gary Gunderson, Vice President of FaithHealth at Wake Forest Baptist Medical Center in Winston-Salem, North Carolina, will present on Wednesday, June 20, as part of Florida Hospital’s Distinguished Lecture Series. The event will be held at the Orlando Museum of Art (2416 North Mills Avenue, Orlando, FL 32803), with registration and hors d’oeuvres at 5:30 pm, and Rev. Dr. Gunderson’s presentation and a panel discussion from 6:30 to 7:30 pm. Panelists for the post-lecture discussion are: Jay Perez, Vice-President, Mission and Ministry of Florida Hospital; Rev. Bryan Fulwider, Co-Host of the radio program Friends Talking Faith with The Three Wise Guys; Marni Stahlman, President and CEO of Shepherd’s Hope; and Monica Reed, MD, Physician and Former Hospital Administrator. Although we live in a time with such advanced medicine and research that we can survive diseases and conditions that were previously terminal, we’re also discovering that technology alone isn’t the sole cure. Research shows that spirituality plays a key role in one’s health. Rev. 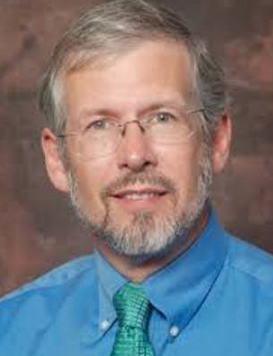 Dr. Gary Gunderson will discuss what communities can do to incorporate faith into the healing process. Click here for more information and to register. The presentation is free and the public is invited. Email questions to Florida Hospital Distinguished Lecture Series. The public is invited to gain insights into some of the not-so-readily-apparent implications of poverty by going through the Cost of Poverty Experience (COPE), to be held at Second Harvest Food Bank (411 Mercy Drive, Orlando, FL 32805) from 9:00 am to 12:00 noon on Thursday, June 21. Dress casually. Participation is limited to the first 50 people, and the vacancies are filling quickly. Click here to register. The deadline is June 15. COPE is designed to help participants begin to understand what it might be like to live as a typical low-income family in the U.S. The program is based on real stories and created alongside those who have lived with these daily struggles. Watch this short video to gain insight into what COPE is all about. Want to combine a day of fun for kids with a chance to make a contribution to a really worthwhile project for kids? 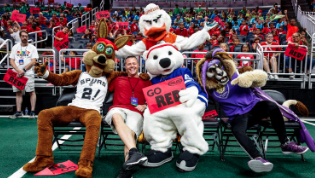 Then the Mascot Games, Friday, June 22, at the Amway Center, may be the perfect way to do so—because all proceeds go to benefit the nonprofit New Hope for Kids. (Follow the preceding link to read about what New Hope for Kids does—it’s impressive.) And just what are the Mascot Games? “The Mascot Games feature mascots from professional and collegiate sports teams across the country competing in a variety of zany games. More than 18,000 fans enjoy thrilling and crazy competition, as mascots from MLB, NFL, NBA, NHL, NCAA and the Arena Football League battle through high-energy themed games to see who the true champions of the mascot world are!” Have questions about the event, times and how to get tickets? Then click here to have your questions answered. Still have questions? Then phone 407-331-3059 ext 17 or send an email. The Sikh Society of Central Florida will host its fifth annual Summer Gurmat Camp from July 18 to 22 at its gurdwara (temple) at 2527 West State Road 426, Oviedo, FL 32765. The program, for youth 6 to 16, seeks to instill the values of Sikhism and help Sikh children and youth become more familiar with Sikh history and the Sikh contribution to whatever society they’re a part of. However, non-Sikh children and youth would be welcome to attend, which would give them an opportunity to learn more about Sikhs and their history and create an opportunity for youth cross-cultural interaction, which could be a highly educational experience. The theme for this year’s event is Equality. There’s a $100 charge for the week, and registration must be completed by June 15. For more information, phone 407-288-8130 or 954-599-4819. Or inquire by email. “How far you go in life depends on your being tender with the young, compassionate with the aged, sympathetic with the striving, and tolerant of the weak and strong. 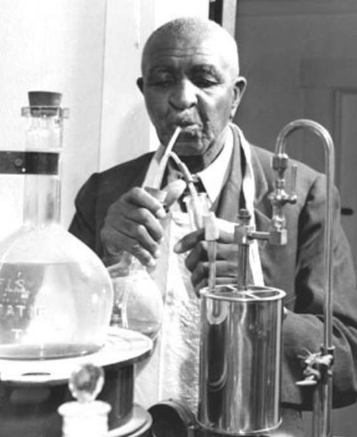 Because someday in your life you will have been all of these.” — George Washington Carver, who was born into slavery in the 1860s, became a highly respected botanist, inventor, environmentalist and for 47 years a professor at Tuskegee Institute.